To open minds, stir curiosities, and inspire imaginations, all area high school and college students are invited to attend individual lectures. Reservations must be made and confirmed through the Tulsa Town Hall (TTH) office: 918-749-5965 or info@tulsatownhall.com. Reservations depend on space available; group size from each school is usually a maximum of 40. All high schools: no charge for tickets. TTH will underwrite the cost of one bus per school per lecture. Colleges & Universities: tickets are $5 per student, per speaker. For those students with reservations, tickets will be available at the Tulsa Town Hall table in the Tulsa Performing Arts Center (PAC) lobby on the morning of each lecture. Students and teachers are offered the opportunity to attend the Student Forum session with the speaker from 9:30 am to 10:00 am prior to the lecture. This is a chance to get to know the speakers in a smaller setting. Teachers are encouraged to include information about the speakers in their curriculum so that students will be prepared with questions. A maximum of 150 students may attend and reservations are on a first reserved, first served basis. Those attending must arrive by 9:20 am. The Student Forum session takes place in the LaFortune Room at the PAC at 9:30 am. The lecture follows in the Chapman Music Hall of the PAC at 10:30 am. Each Student Forum session is moderated by students from an attending school. 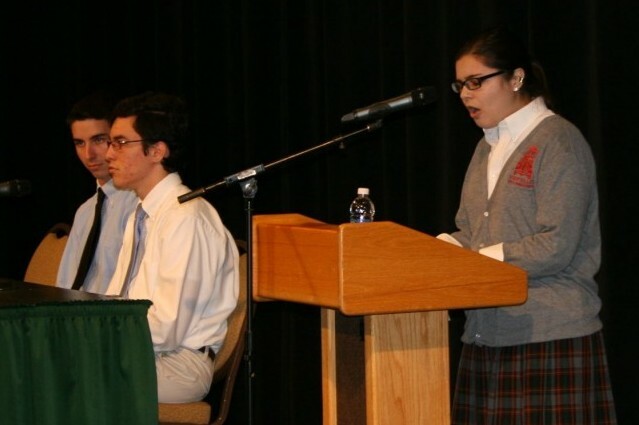 Three students are chosen by the school to research and introduce the speaker, initiate the session with two questions, and wrap up the session. Students and teachers may attend the lecture only. Reserve tickets through the Tulsa Town Hall office: 918-749-5965 or info@tulsatownhall.com. Please arrive by 10:15 am. All students are asked to sit on the Balcony or Mezzanine levels. Reservations are accepted on a first-come/first-served basis and will be confirmed by email.